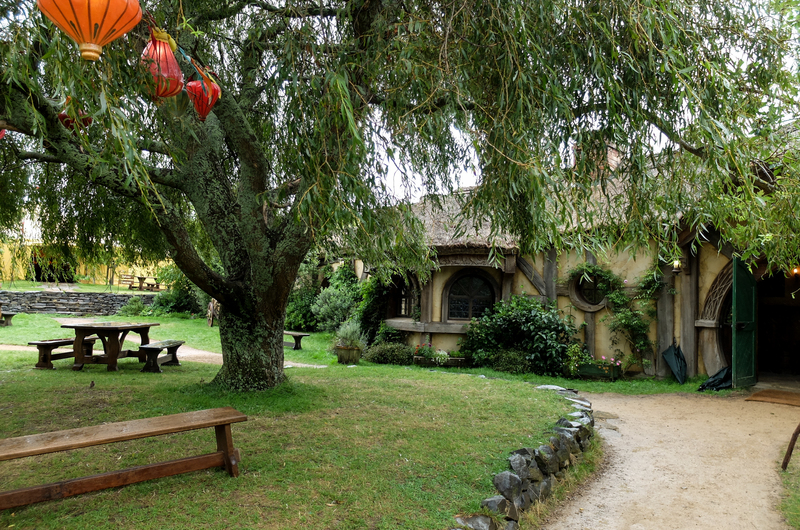 According to Tourism NZ stats, Hobbiton is the most visited attraction in New Zealand. Whaaaaat? What do you mean? Why? 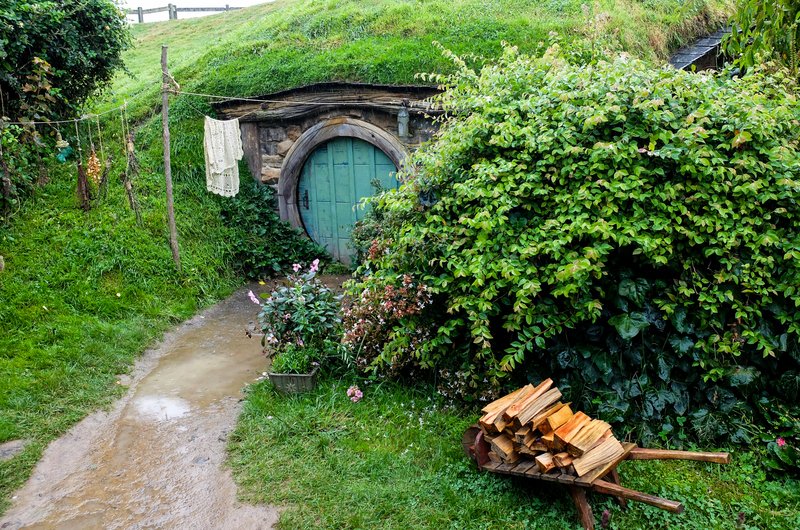 Following a massive success of The Lord of the Rings trilogy, Hobbiton became a mecca for millions (literally!) of fans worldwide. 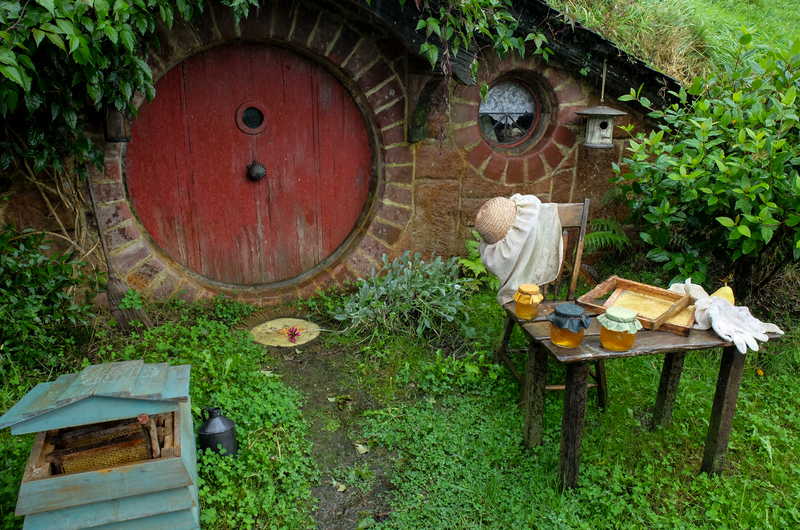 I am actually still amazed that after all these years, sooo many people drive to Matamata, which really is in the middle of nowhere, to see little hobbit houses. 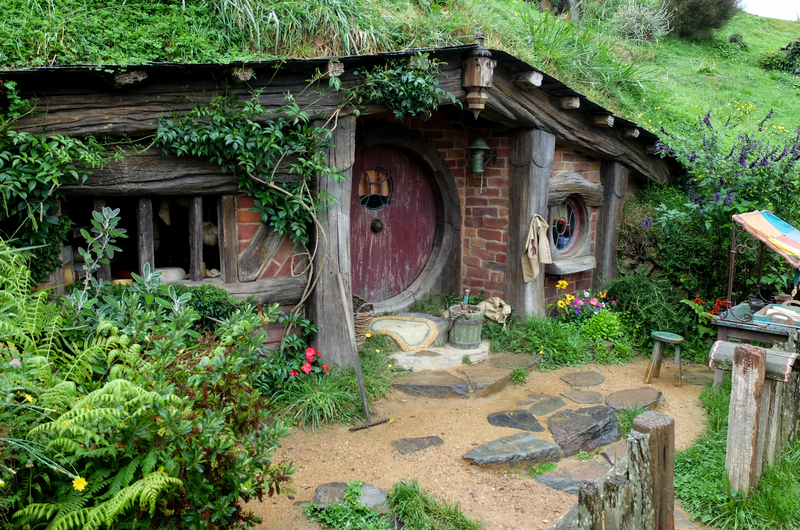 I enjoyed the movies, and got my precious ring as my 18th bday present so one day I just had to check it out. A couple of weeks ago, I finally made it down there with my travelling buddy. What did we think? 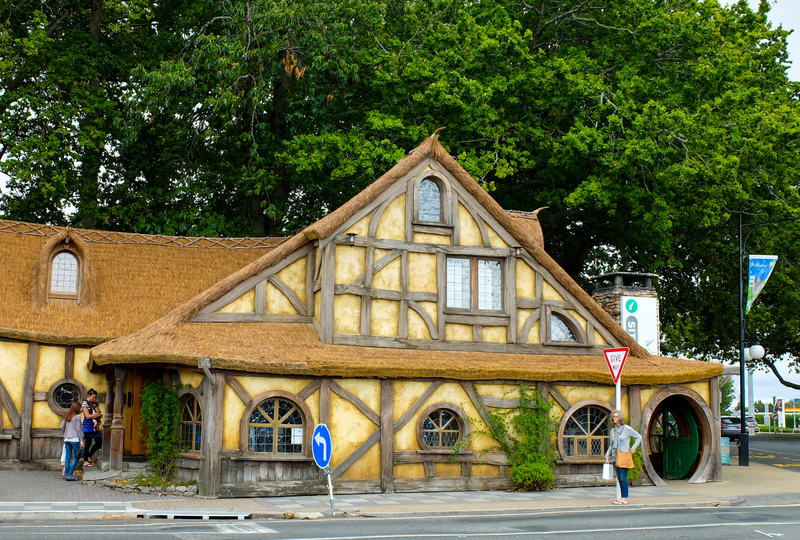 Getting there – Matamata is around two hours drive from Auckland (no traffic). 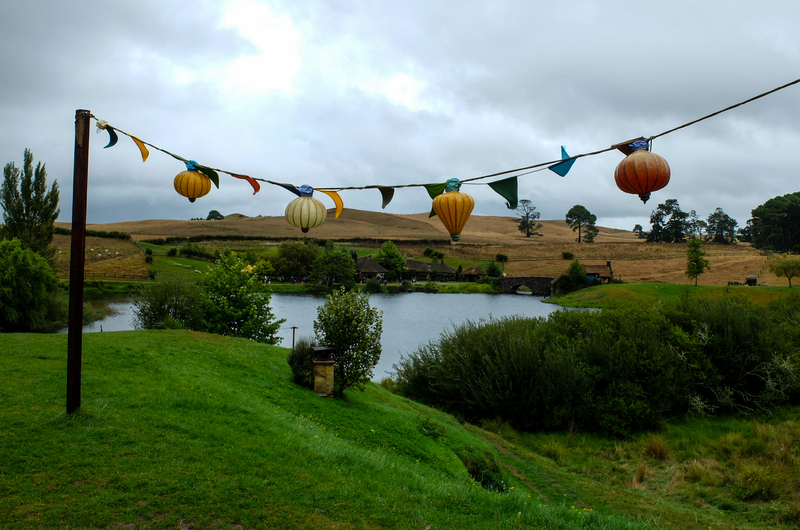 The entrance to Hobbiton is a further 15 or so mins away. 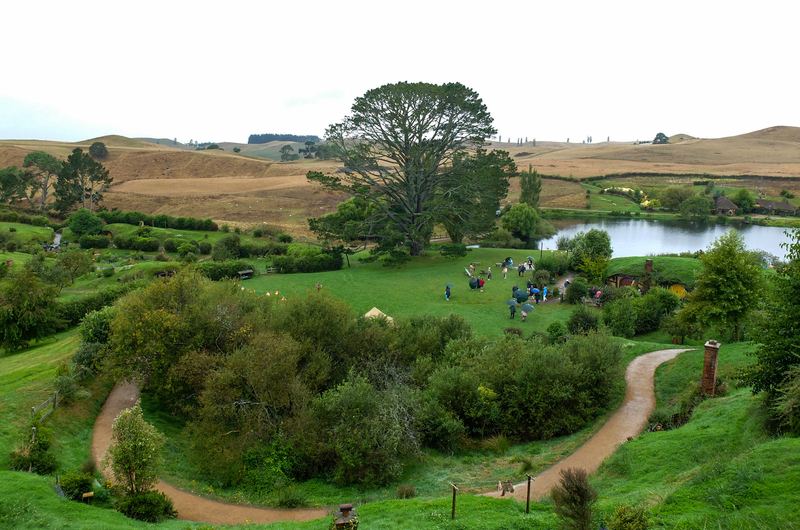 There are no obvious signs where to go from the information centre (which also looks like a hobbit house), so a map or a working mobile phone is essential. 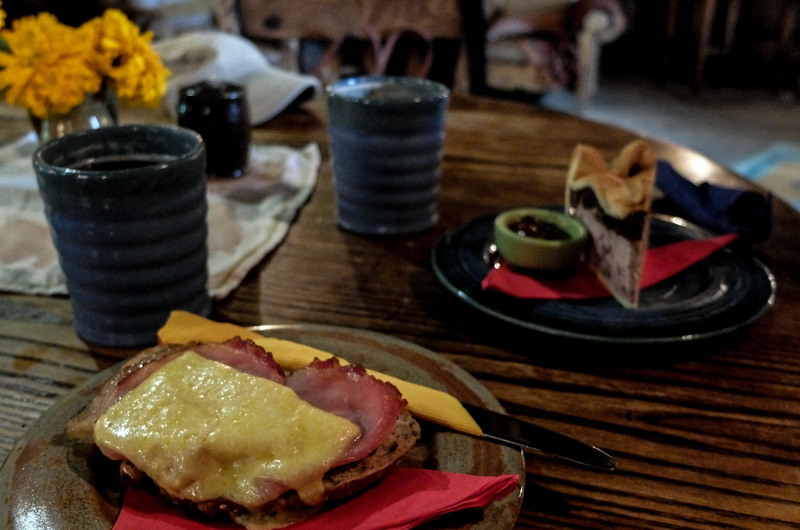 It pays to book in advance – we went on a rainy, average Friday morning. ‘’She’ll be right’’ we thought, no need to book. Got there and had to wait for 2.5 hours for our tour as all earlier times were fully booked! Crazy! Tours run every half an hour and are fully guided. There is no way you can just do it yourself. A special (nicely branded) bus will take you to the movie set, around 10 mins drive with some local commentary. 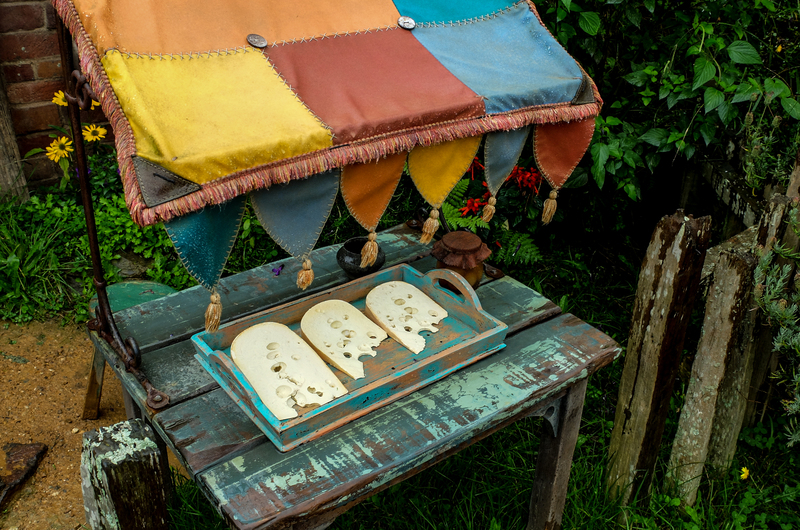 Each tour takes roughly an hour of actual viewing time as you meander the narrow paths and check out the various residences. What is there to see? 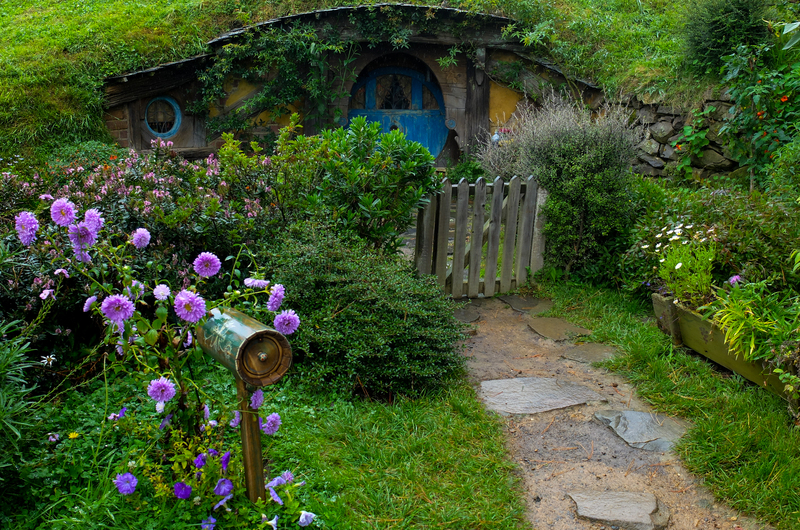 Nicely manicured gardens and pretty hobbit houses. You can’t go inside, which is a shame. 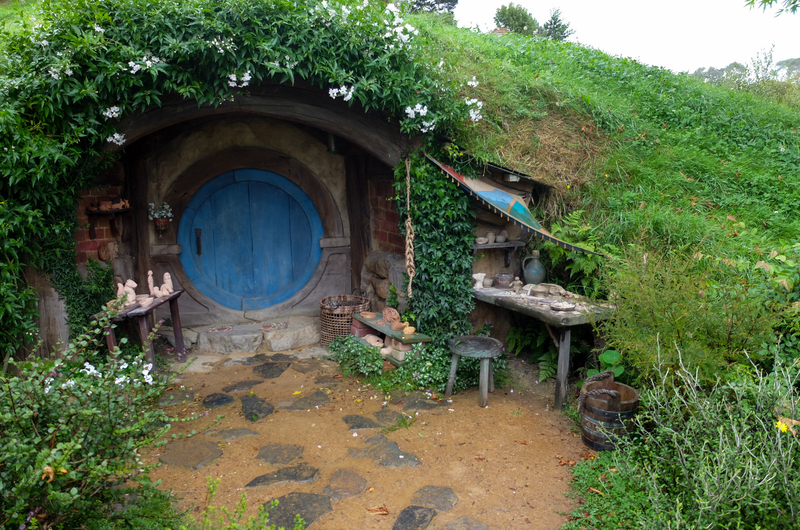 Unfortunately Bilbo Baggins wasn’t in when we were at his door, perhaps on party business? Tickets are expensive and take some snacks for while you wait. 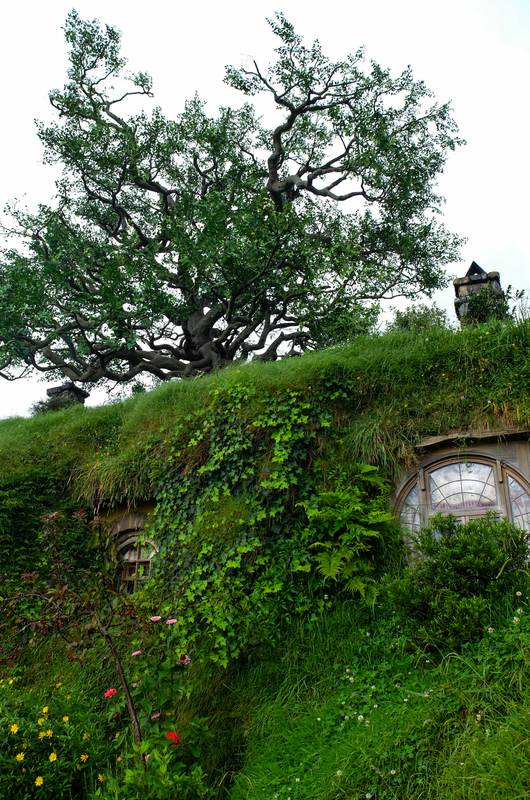 There is also a massive fake tree outside, which was one of the most amusing parts of the tour. 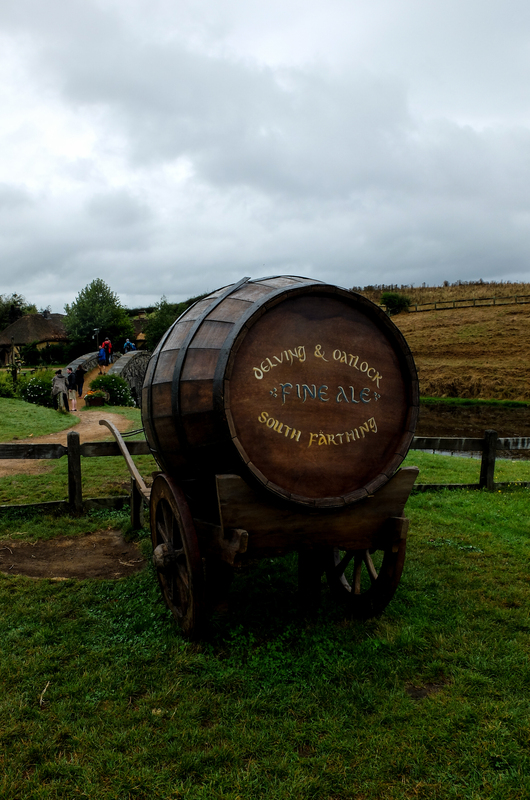 At the end of the tour you will be treated to a glass of house lager or cider at the Green Dragon Inn. Food (a nice selection) is available at the bar to order while you drink.. but there isn’t much time to enjoy it. What’s it like on a rainy day? Pretty wet indeed! They have some umbrellas scattered around, but definitely not enough for everyone. Stock up on ponchos and wet proof jackets! Very cool. 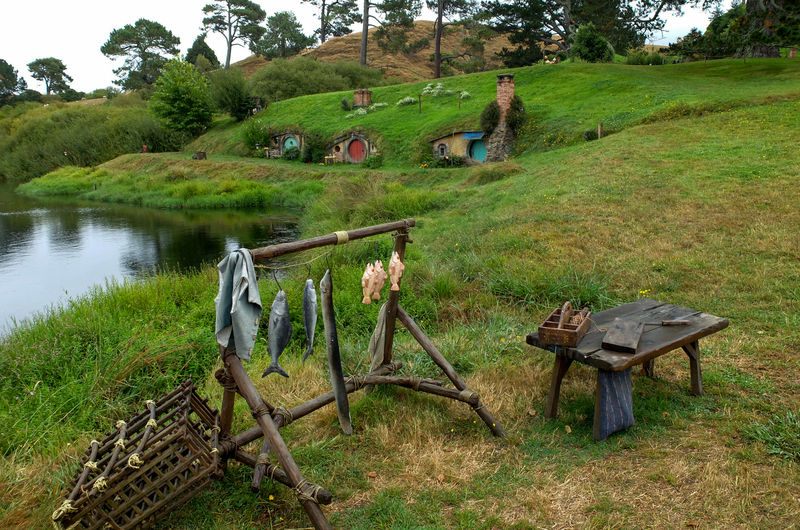 Big Hobbit fans over here. Unfortunately my husband just wants to stick to the US. Cool! 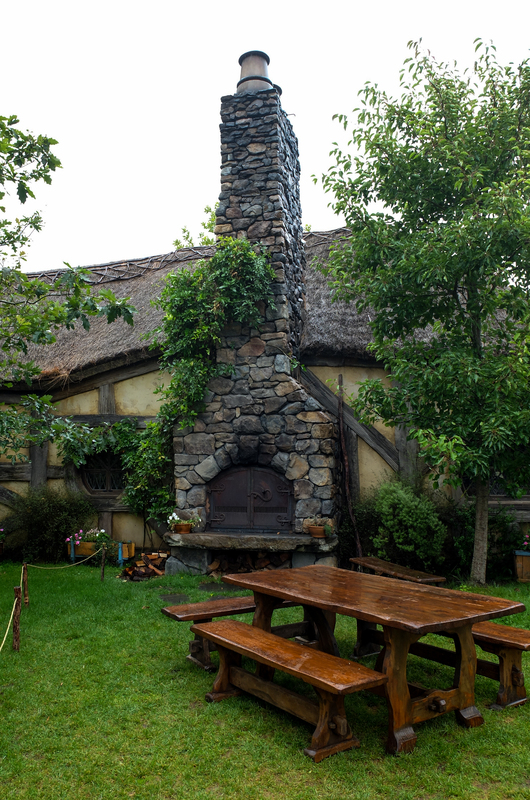 I like your photos 🙂 I’ve been to Hobbiton and LOVED it! It is so beautiful! You should check out my post about it! Previous Previous post: Hello weekend!